The most common form of Dementia is Alzheimer’s disease. According to the Centers for Disease Control and Prevention (CDC), Alzheimer’s disease involves the parts of the brain responsible for the control of thought, memory, and language. If you are wondering and looking for ways how you can manage it, maybe you have also thought of any Alzheimer’s insurance coverage that you can acquire for you or your loved one. According to the results of the study done by the Centers for Medicare & Medicaid Services (CMS) last 2010, 11% of Medicare beneficiaries have Alzheimer’s disease, that is more common than those who have asthma, osteoporosis, or even cancer. So, in this post, we will discuss Medicare and Medicare Supplemental coverage, so you will know how much you can expect from the said healthcare options. Yes, Medicare and Medicare Supplement plans (also known as Medigap plans) can help you with medical costs for treating Alzheimer’s disease. But then, the coverage may not be that comprehensive to cover all the needs of the patient. Thus they may still have to handle a huge amount of out-of-pocket health care cost for certain treatments and use of long term care facilities. The out of pocket costs of the said treatments can then be covered by the Medicare Supplemental plan (Medigap). You might be able to qualify for Medicare if you develop the disease early or before you hit 65 years old. If the severity of the disease makes you unable to work, you may qualify for Social Security Disability Insurance (SSDI) benefits. After 24 months of receiving SSDI benefits, you will then be able to qualify for Medicare. According to Alzheimer’s Association, in a narrow set of circumstances, Part A can cover care in the skilled nursing facility. That is if you were hospitalized for three days and required daily care of the same condition for which you were hospitalized. Hospice care will be covered, only if your condition is so severe that you are expected to expire within the next six months. Therapeutic services and psychological or disease management counseling are also covered if ever the patient will need it. Early detection of the disease and treatment are very vital to Alzheimer’s disease. And Part B may also help cover the cost of the needed diagnostic procedures or tests such as CT scan, MRI as recommended by the doctor. Unfortunately, Medicare Part A comes with a lot of out-of-pocket costs. This 2018, you have to pay the deductible per benefit period first (which amounts to $1,340) to trigger Medicare Part A to pay the benefits for your hospital inpatient care. Let’s not forget that this is in addition to co-insurance and co-payment costs from hospital care, hospice care, and skilled nursing care. A Medigap plan can cover some of those costs and lower the amount of your out-of-pocket expenses. Some coverage for hospital and hospice care out-of-pocket costs are usually offered in all types of Medigap plans and some types do provide some coverage for Part A deductible and skilled nursing care co-insurance. Medicare Part B comes with an annual deductible and a 20% co-payment for covered services. Meaning, you have to pay $183 a year before the coverage will start. Also, it only covers up to 80% of the Medicare-approved amount of covered services. You will shoulder the rest, which is the 20%. A Medicare supplement plan can help you handle the out-of-pocket costs from Medicare Part B. all plans offer at least some coverage for the Part B co-payment, while Plan C and F provides coverage for the deductible. 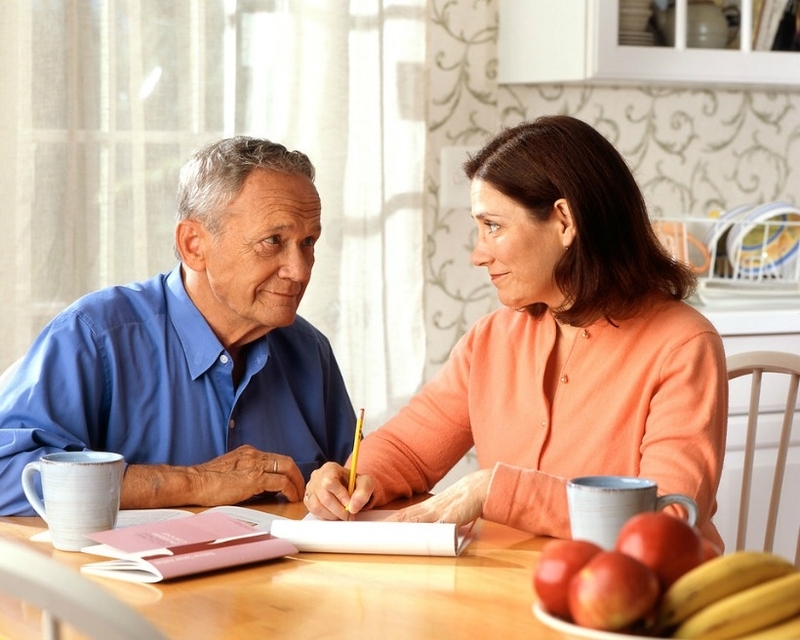 Alzheimer’s disease is a serious problem that as much as possible requires planning and preparation. The necessary treatments, procedures, and care needed for this disease can cause stress and burden to both the patient and the family. Knowing how to handle the care expenses brought about by the disease is important to maintain comfort and wellbeing of the patient. Medicare and Medicare Supplemental insurance coverage can greatly help, especially if you fully understand the extent of the benefit that each plan provides. The Ultimate Guide to Medicare Supplement Plans is available here. Get your copy and you will also get a Medigap quote, for free. As the Online Content Director of FreeMedSuppQuotes.com, Leandro Mueller aims to push for awareness and promotion of the many benefits of Medigap plans. He plans to accomplish this by writing informative and compelling content, which is to be posted on several avenues online. Leandro hopes to push the envelope when it comes to explaining the many details one needs to tackle with Medicare Supplement Plans.